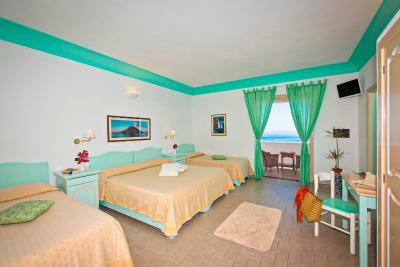 Lock in a great price for Hotel Ossidiana Stromboli – rated 8.2 by recent guests! 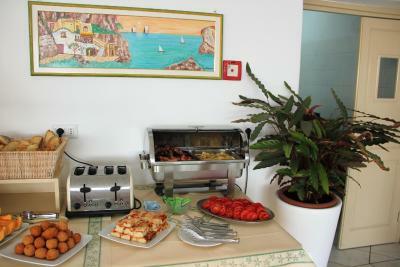 Perfect location and great accommodating staff. Oh yes, big nice breakfast!! Great location, right at the harbor. Nice view on the sea. Helpful staff. Easy to find!!! Could see the port from the front door. Location right on the water. 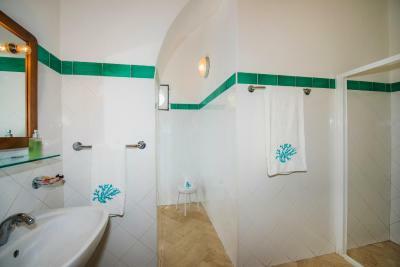 Nice rooms with a big shower (for Italy.) Bar/restaurant with smoothies and other drinks! 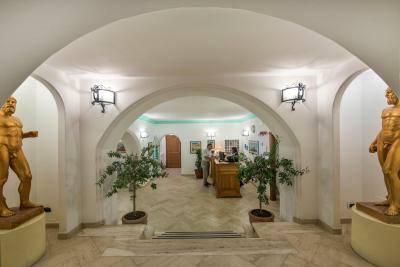 Multiple entrances once you were checked-in and had your room keys. Excellent location for accessing the ferry. 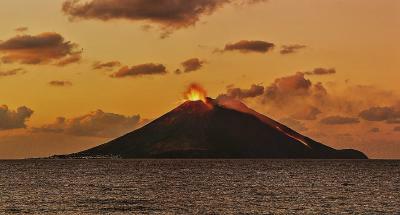 We stayed on Stromboli for one day, so location was important to catch the ferry in the early morning. Staff was cordial. room was small but adequate. 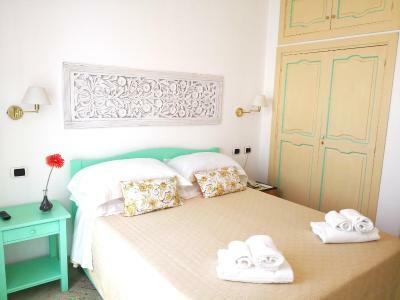 Hotel Ossidiana is perfectly located and has plenty of character. 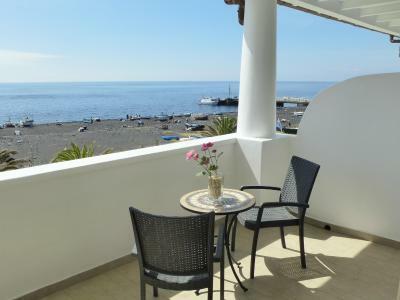 It is located right across the road from the beach and close to all the shops in the town. 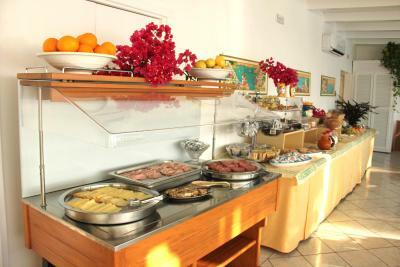 It has a lovely feel about it and the breakfast is delicious and included cooked eggs and sweet cakes. My room had views of the volcano. It is worth the effort to get there, I hope to be back. 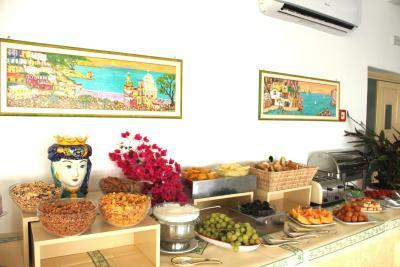 Perfect location, very nice breakfast, and private entrance to your room from the back. For those arriving on the early boat, it is possible to have breakfast on the day of the arrival before check-in, which was very nice. 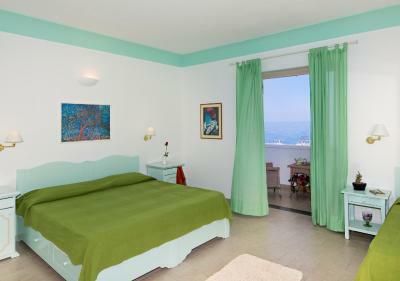 Hotel Ossidiana Stromboli This rating is a reflection of how the property compares to the industry standard when it comes to price, facilities and services available. It's based on a self-evaluation by the property. Use this rating to help choose your stay! 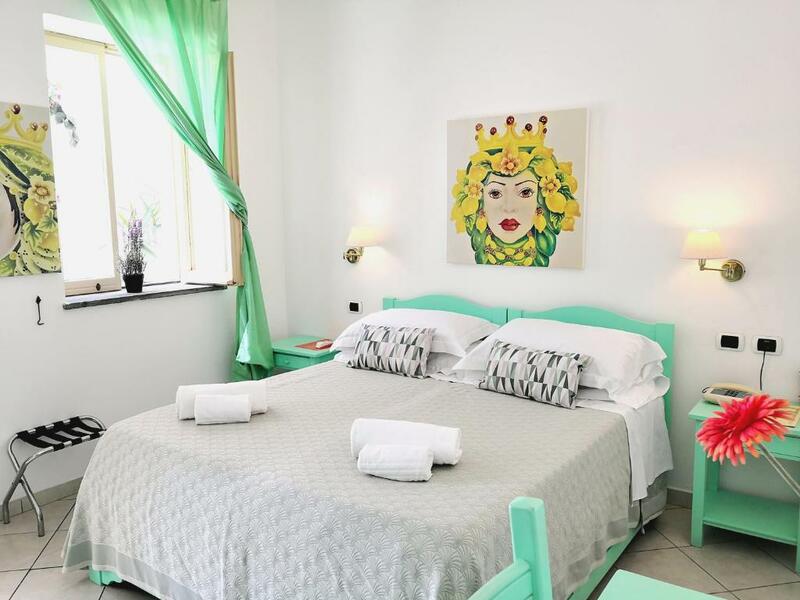 One of our top picks in Stromboli.Just 650 feet from the port, the Ossidiana is located right next to a volcanic-sand beach in the fishermen’s neighborhood of Scari. 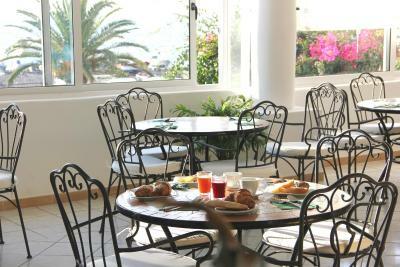 It offers free WiFi and views of the Mediterranean Sea. 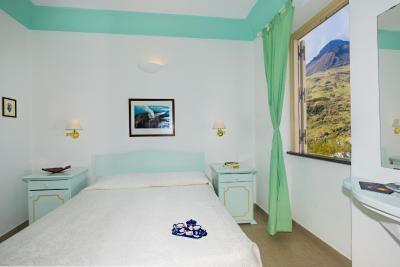 All rooms at hotel Ossidiana Stromboli are en suite and come with an LCD TV, and air conditioning. Some also feature a balcony. Guests are greeted with a free welcome drink on arrival. 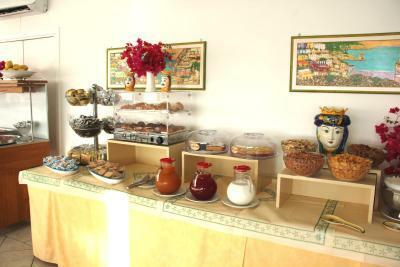 Breakfast is a varied continental buffet, offered in a panoramic room with sea views. 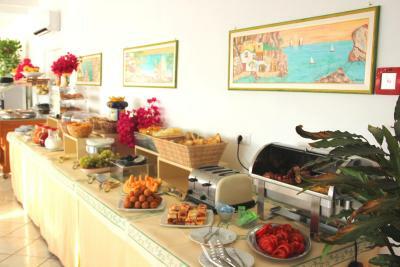 Many characteristic Sicilian restaurants are located nearby. 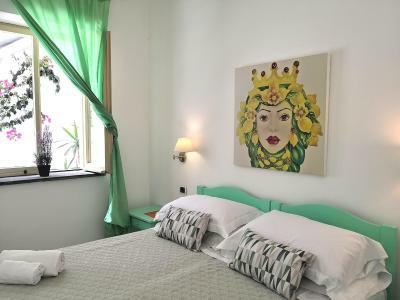 Panoramic Piazza San Vincenzo and the Vulcanology Museum are a 5-minute walk from the hotel. 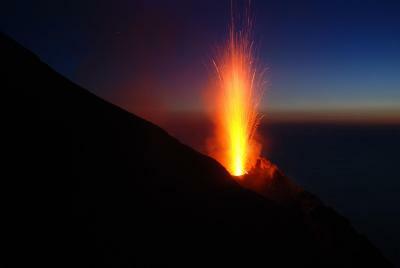 Trips to the volcano crater can also be organized. 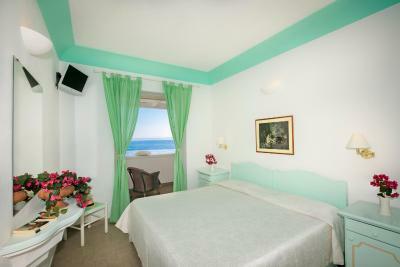 When would you like to stay at Hotel Ossidiana Stromboli? Private room with air conditioning and flat-screen satellite TV. Wi-Fi is free. Private room with air conditioning and flat-screen satellite TV. 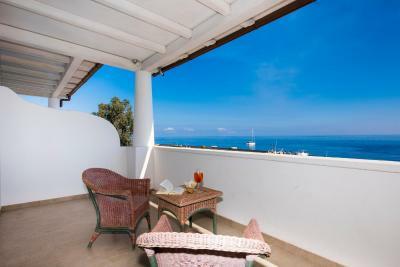 Renovated in 2011, it features a balcony overlooking the sea. Wi-Fi is free. 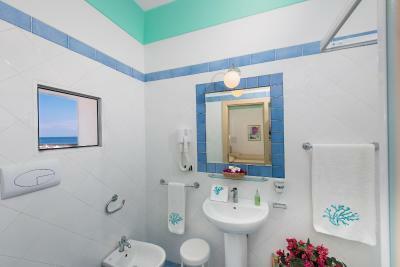 Room with attached bathroom with air conditioning and flat-screen satellite TV. Facing the rear of the hotel. Wi-Fi is free. Private room with air conditioning and flat-screen satellite TV. 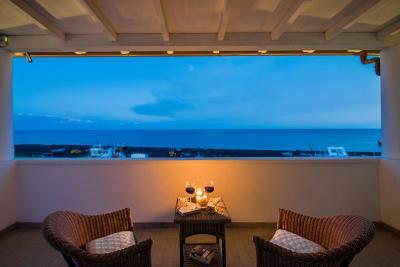 Renovated in 2011, it features a patio and private terrace with sea view. Wi-Fi is free. This private room has air conditioning and a TV. Room with attached bathroom with air conditioning and a TV. 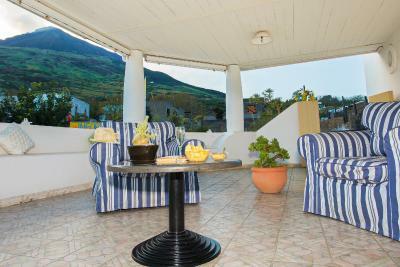 With views of Stromboli Volcano, this air-conditioned room has a mini-bar. Set in the annex, 328 feet form the main building. 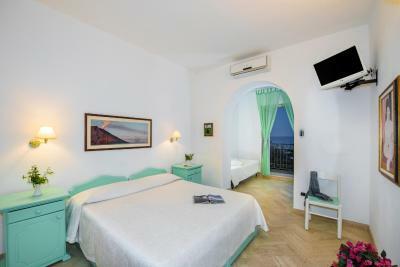 This air-conditioned room features a terrace and a flat-screen TV. Set in the annex, 328 feet from the main building. This air-conditioned room features a terrace and a flat-screen TV. This room includes an excursion to the volcano. 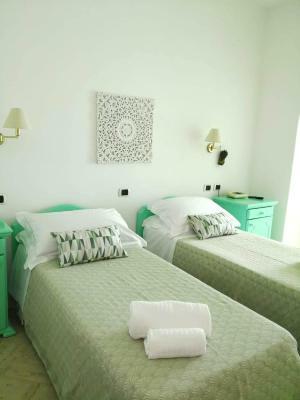 House Rules Hotel Ossidiana Stromboli takes special requests – add in the next step! 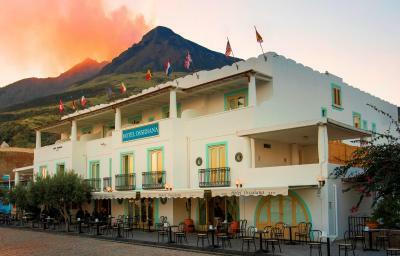 Hotel Ossidiana Stromboli accepts these cards and reserves the right to temporarily hold an amount prior to arrival. The only thing to change there is the boss... The guy is growling and moaning, not having any “hello” neither for client nor his staff and treat staff in a very bad way. If you don’t like your job, just come and pick up the money once a day man, just don’t be there in the middle doing nothing but annoying others. A really nice hotel in a beautiful island. Lovely, English speaking staff who is eager to answer all your questions. 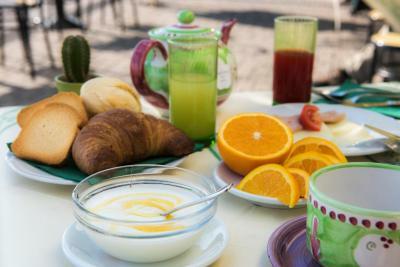 Fabulous breakfast including fresh fruits. It starts at 6:45 so you can catch the first boat back to Sicily/Milazzo. At the check-in we were told we could use our room in 45 minutes. This ended up in 1,5 hours which was not very nice because our Stromboli trip which started only shortly after our check-in. The hotel is right at the harbour, so it is only a short walk. 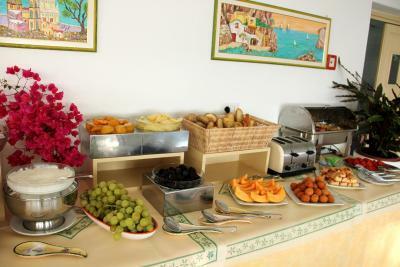 The breakfast was very good and there was a lot to choose from. Torch as standard room equipment ;-), as there're no street-lamps in the village. 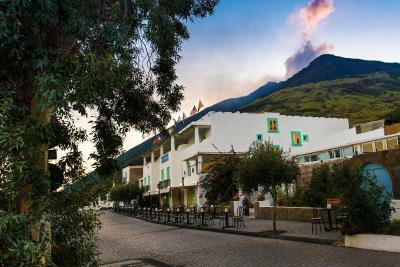 Very nice english-speaking staff, clean and comfortable room with most amazing view (volcano's crater), fast wi-fi, delicious breakfast in separate building but rewarded with most amazing sunrises. Close to pier, beach and market. Very noisy, from the scooters on the street in front of the hotel and doors slumming in the hotel. We came in October, beautiful weather but the sun terrace was closed already. See view was magnificent (in the luxury room), very clean. Just next to the marina. 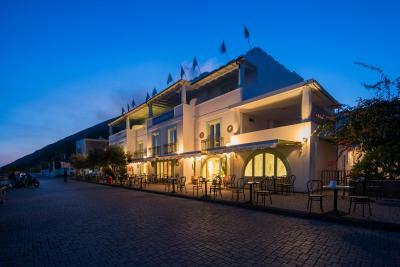 Wonderful hotel situated along the beachfront a short walk from the ferry port. The reception helped us book volcano hikes, restaurant bookings and they even went to the pharmacy to collect some medicine for my baby daughter. This hotel is excellent in every respect and I would highly recommend it. 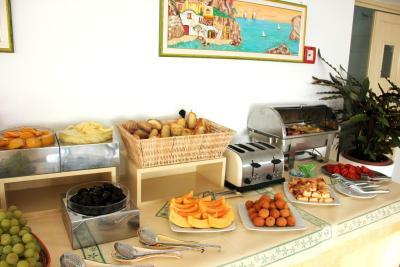 Few steps to the Harbour, excellent breakfast, comfortable beds. Staff was very flexible: We had to extend our stay for one more night, because the boat traffic had been suspended due to weather conditions. We didnt know, if we could leave the same day and they kept a room for us till we were sure, what happened. We were accommodated in an annex of the hotel. 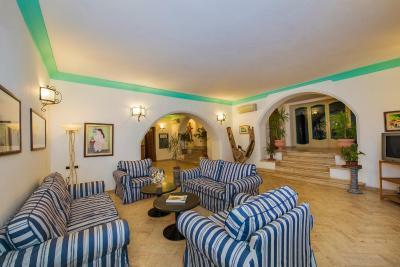 Very nice and clean location, with kitchen and big terrace. The beach was just in front of us. Very nice view of the volcano at sunset. Great view of the see at sunrise. Location close to ferry and always something to watch. Great sea views. Very friendly staff. One of the rooms the hotel removed a bed in the morning before we checked out. They also messed up the bill for the packed lunch. 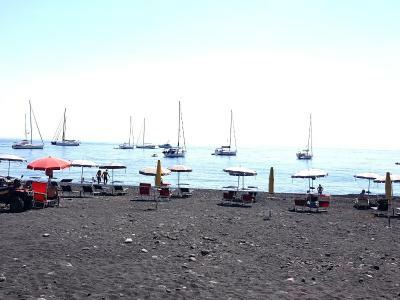 Good location near the quay side and for the ascent of Stromboli which is why we went. Breakfast was excellent, the best I had all week. We found out that our room is actually not in the hotel but about 500 meter from it in a villa near by. That was fine but the problem was the room was very old and seems not to be in the same shape as the other parts of the hotel. We had mosquitoes in the room which was annoying. On the positive side we had half a villa with a balcony which was nice. When we returned from our trek up to the top of the volcano at around 9:30-10pm, the hotel bar was already closed meaning we had to find somewhere else to relax and unwind before retiring to bed.